Zhuhai is a city on the southern coast of Guangdong province in China. Situated on the Pearl River Delta, it is often referred to as “Pearl City” and is known locally for its beautiful coastline, islands and low population. It’s also the gateway to Macau. The provincial capital of Guangzhou is 150 km to the north. 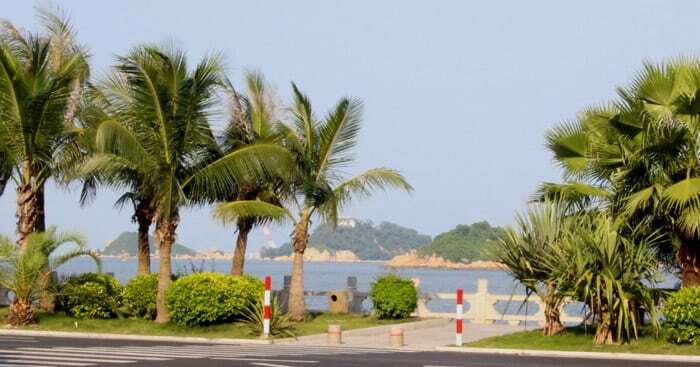 Like neighbouring Shenzhen, Zhuhai was until the 1970s, inhabited by fishermen, with a small population of only 100,000. In 1979 it was designated a Special Economic Zone (SEZ), and the city has expanded to around 1.5 million people. It’s not nearly as large or built-up as its neighbouring cities, and it is prettier and cleaner with a feeling not dissimilar to parts of the South of France! Zhuhai is full of green wide-open spaces and parks. The roads are wide and less oppressive than Shenzhen giving a very different feel. The air is clean and its long beach front, lined with swaying palm trees, has made it a popular Chinese tourist destination. They also come to experience its “colourful nightlife” – make of that what you will! And, according to the Chinese Academy of Social Sciences, it is also the most “liveable city in China”. For leisurely walks, fresh air and a reprieve from 1st tier city life, Zhuhai is a great city to explore for a day or two. This is a small city by Chinese standards. There is no metro system, but there are plentiful buses which are regular, clean and extremely inexpensive at only 2-3 Yuan a journey. Taxis are also a cheap, convenient way to explore the city with a starting fare of just 10 Yuan. The official taxi colour is green and yellow, so they are easy to spot. 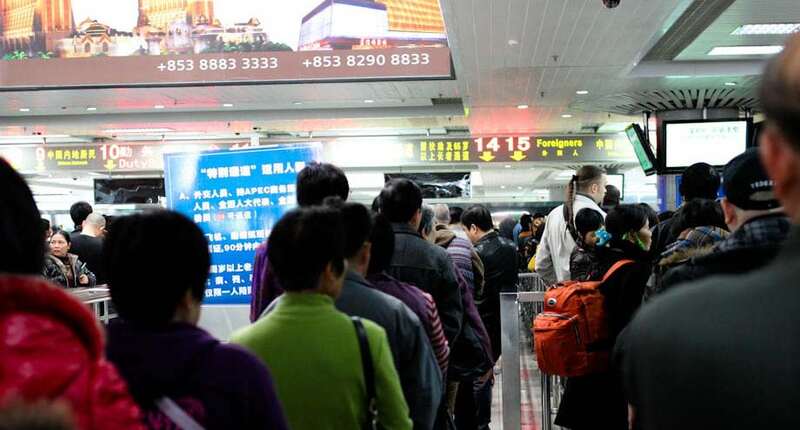 If you arrive at the port at Jiuzhou, as we did, you can use your ferry ticket to get a free bus trip to downtown Gongbei on the Macau border.